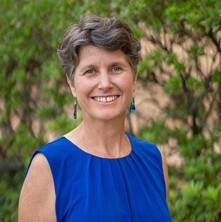 Dr Nina Lansbury Hall is a researcher on environmental health within The University of Queensland’s School of Public Health. She conducts research and teaching on responses to complex issues around the sustainable and integrated development, including management and use of water and energy resources with social, environmental and economic considerations. This includes communicating water, renewable energy and health-relevant research findings into policy outcomes with stakeholders, which covers research on community engagement, behaviour change and policy analysis. Her current research at UQ examines the implementation challenges and opportunities for the UN Sustainable Development Goals; and sustainable provision and evaluation of water, sanitation and hygiene in development, including in remote Indigenous communities on both mainland Australia and in the Torres Strait. She is also investigating the impacts of climate change on human and environmental health. This involves a role as lead author on the Intergovernmental Panel on Climate Change (WG II, AR6). Nina has worked on environmental and social sustainability issues in research and non-government organisations and she is motivated by an aim to create and contribute to high-impact research that responds to complex or ‘wicked’ environmental and social challenges in Australia and globally. Within the research sector, she was previously a senior research scientist at CSIRO, manager of the Sustainable Water program at The University of Queensland, and senior research consultant at the Institute for Sustainable Futures, UTS. Within the non-government sector, she was the director of the Climate Action Network Australia and research coordinator at the Mineral Policy Institute. Ensuring resilient energy-water-food management ahead of the next climate shock: how will we achieve water and food security in an energy efficient manner? Can social licence to operate provide a framework to manage opposition and enhance acceptance of wind farms? Review of past climate campaigns - what have we learned?